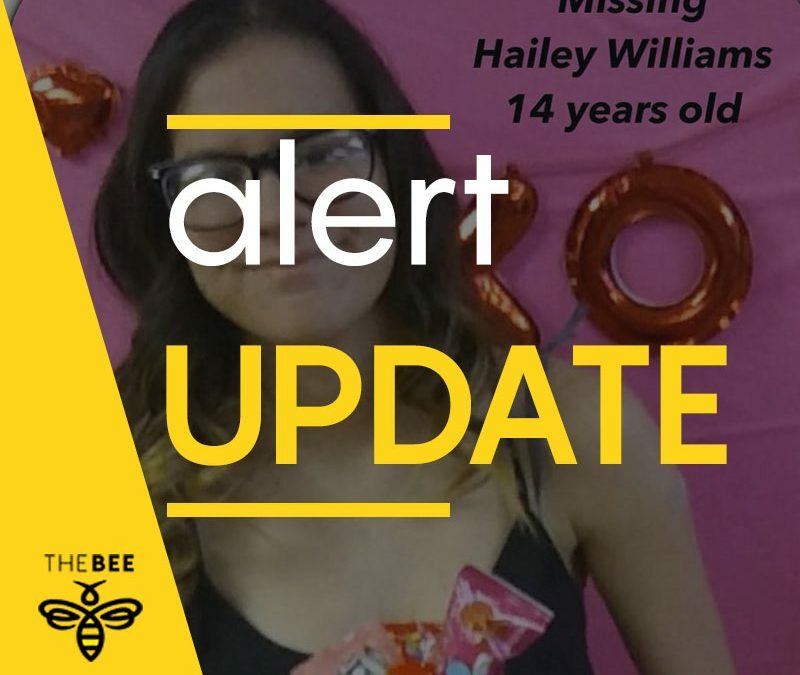 **UPDATE** Hailey Williams has been found safe and is now home. The Bullhead City Police Department is asking the public for assistance in locating a local girl who reportedly went missing earlier today. Hailey Williams, 14, was reportedly last seen at the carnival being held at Gary Keith Civic Park around 3:30 pm Saturday, Feb. 17. She is described as aa white female, about 5’4”, 109 pounds, with long brown hair and wears glasses. Williams was last seen wearing a black tank top with “love” on it, black hooded sweatshirt and white converse shoes. Anyone with any information is asked to call the BHCPD at 928-763-1999.